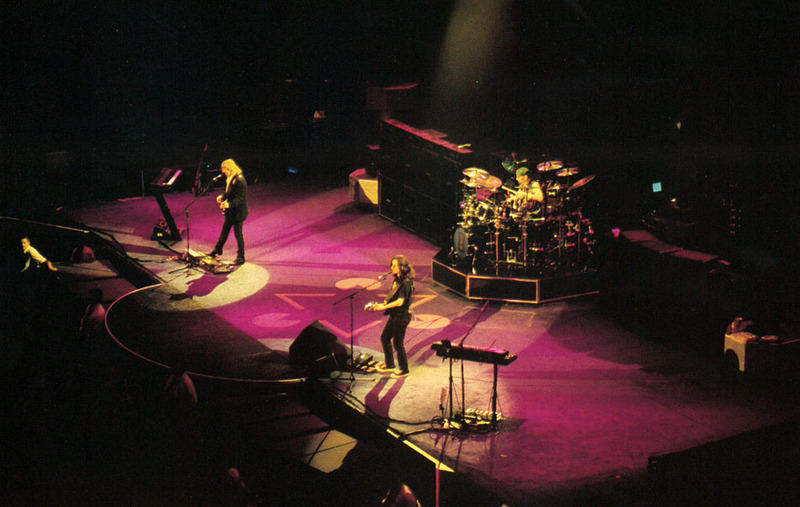 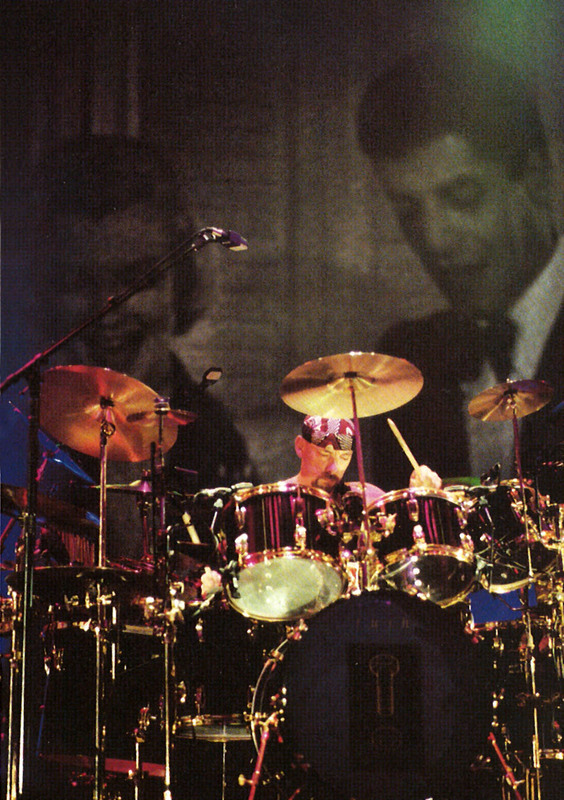 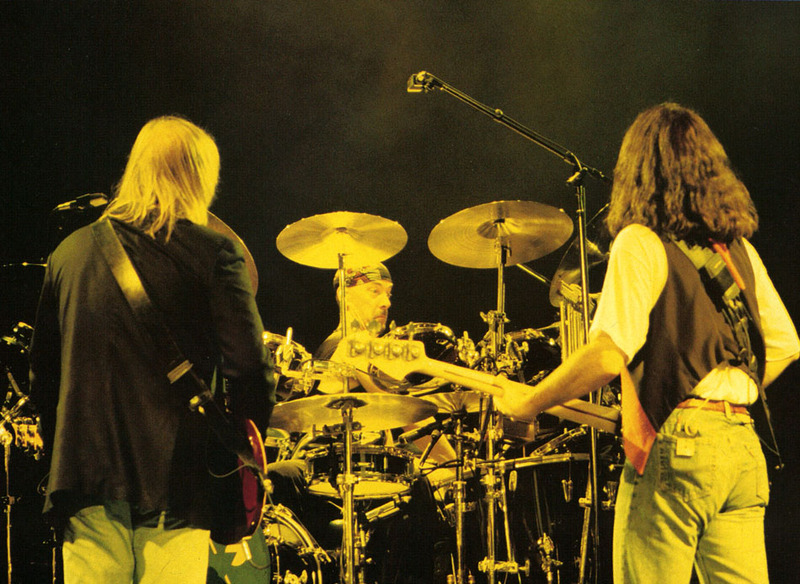 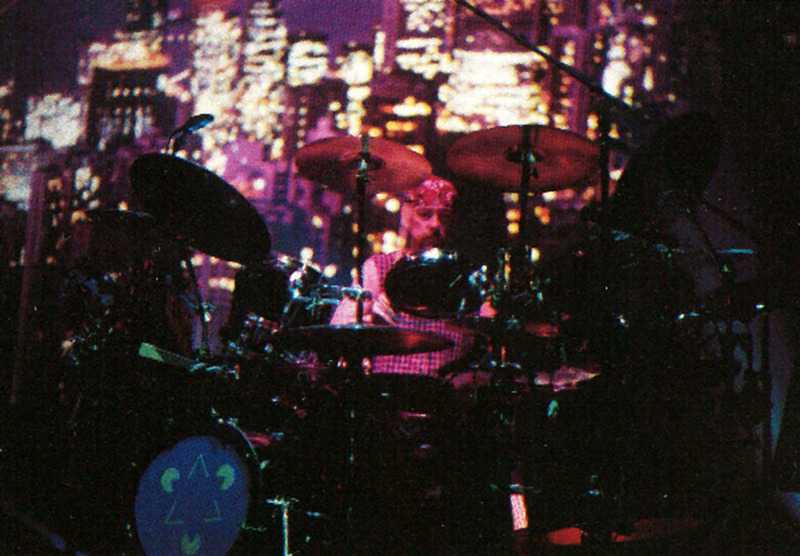 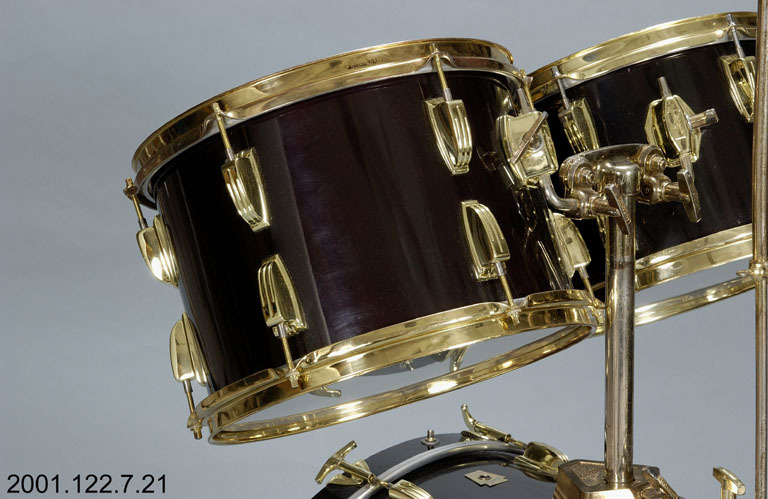 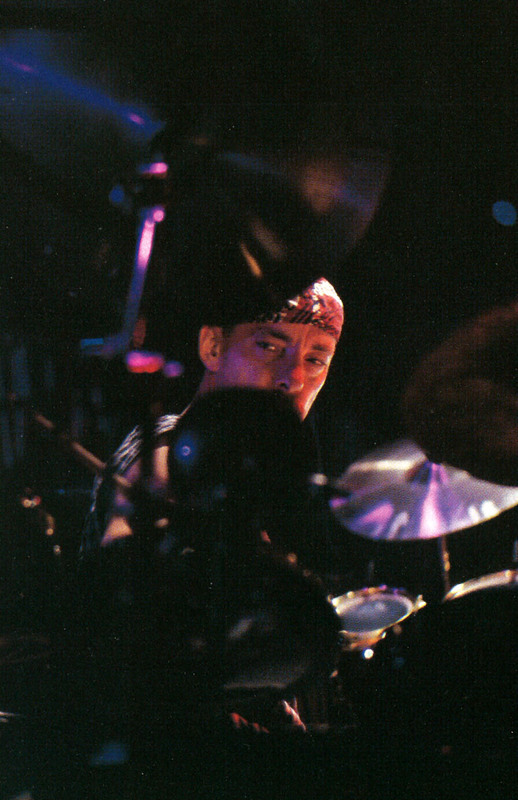 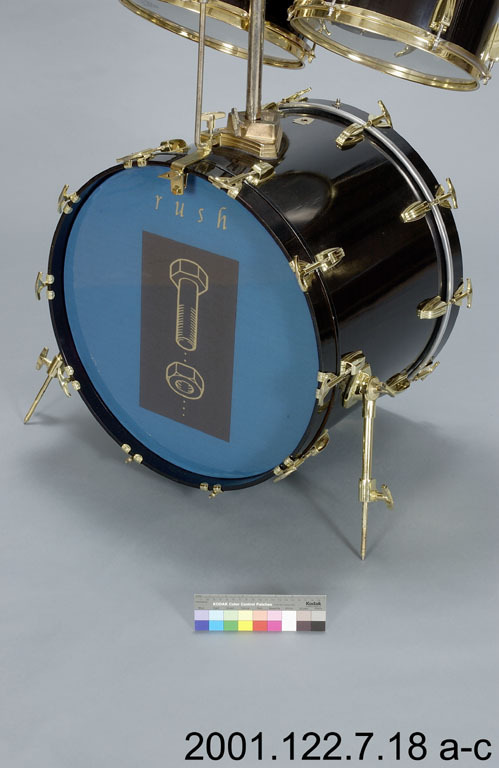 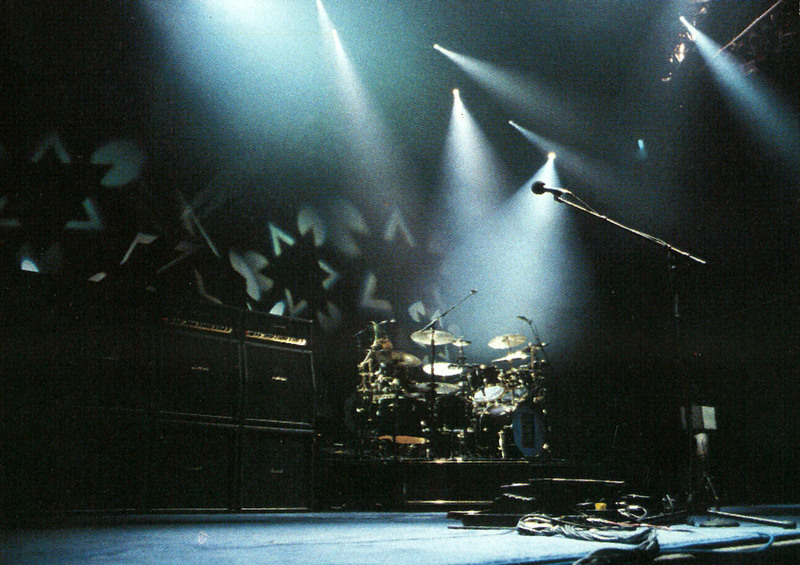 For Rush's 1994 Counterparts album and tour, Neil Peart used a brand-new Ludwig Super Classic drum kit with a "Black Cherry" finish. 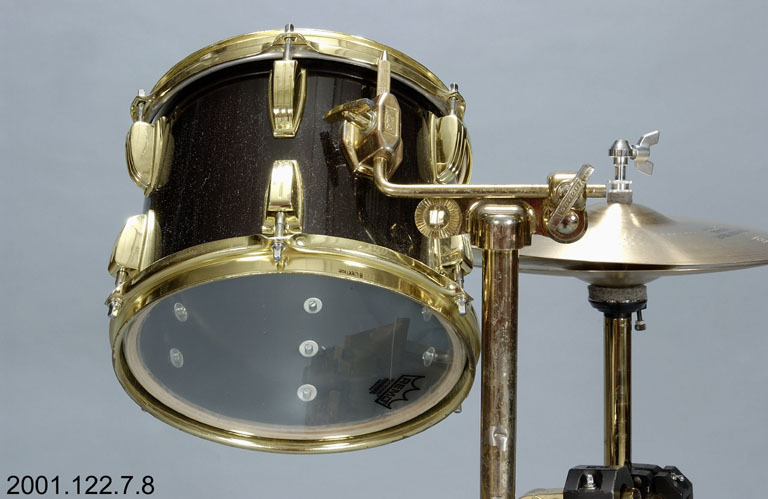 This was Peart's third and final Ludwig kit, as he switched to Drum Workshop for the Test for Echo album and tour, and the Ludwigs went into storage. 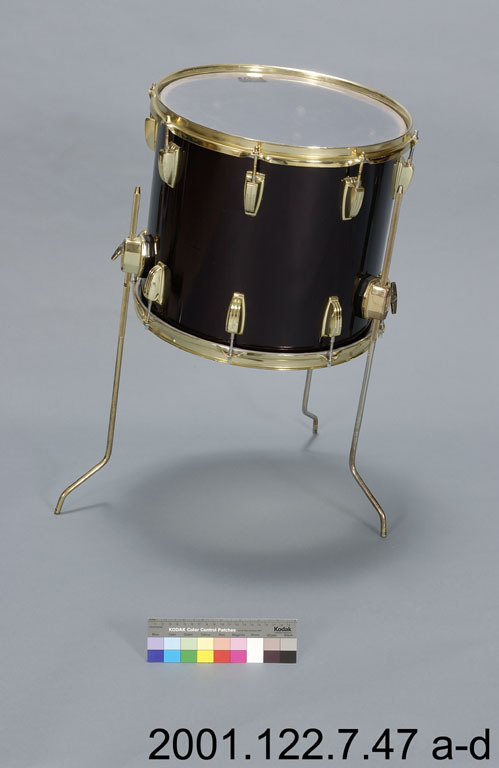 After the Rock Hall, the drums moved to their permanent home at the Canadian Musuem of History in Quebec—where every piece of the drum kit was meticiously cataloged and photographed. 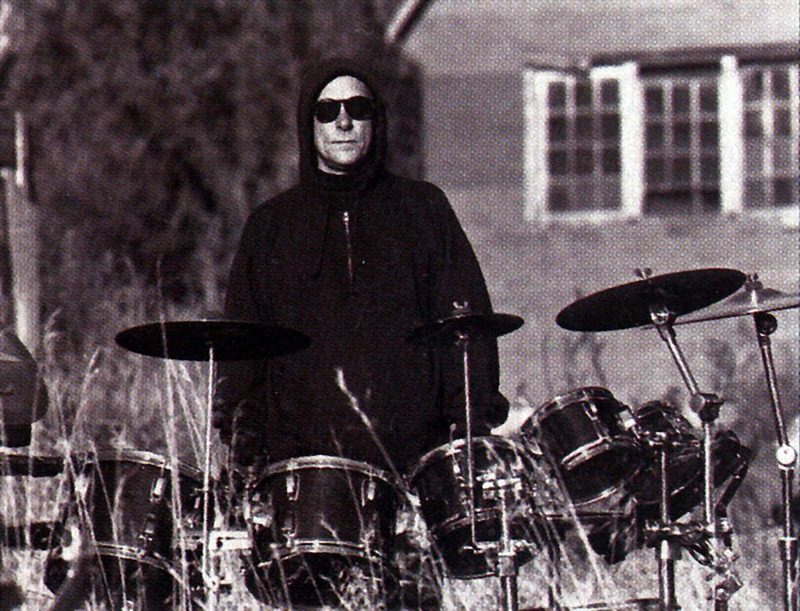 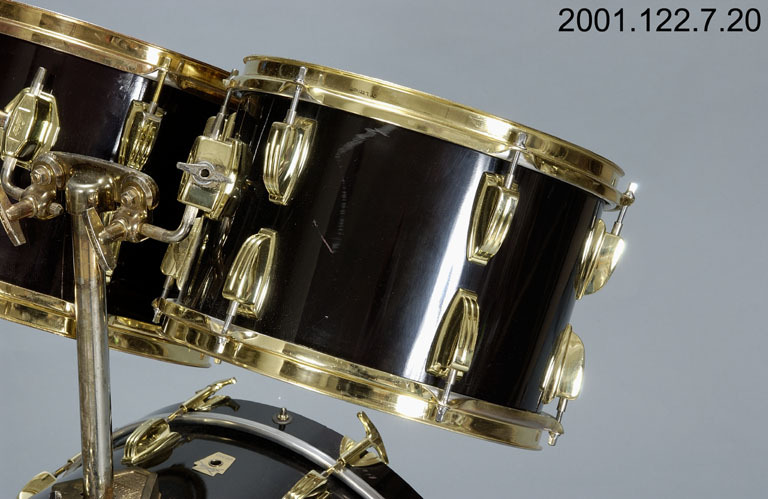 These photos provide a rare opportunity to inspect the drums, electronics, and hardware as they were in 2001. 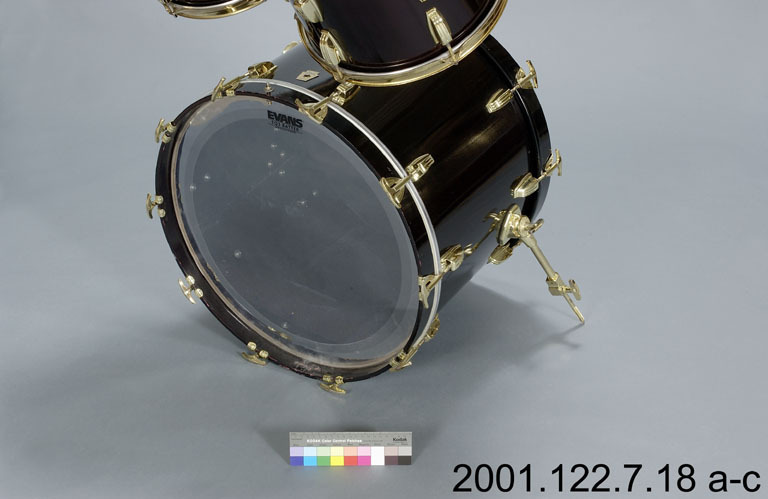 As of 2017, the Counterparts drums are not yet on display at the museum. 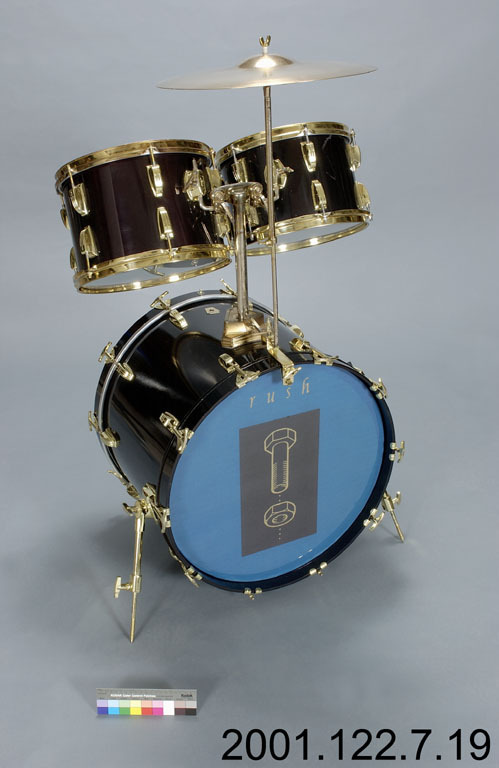 1 As told by Lorne Wheaton during the S.S. 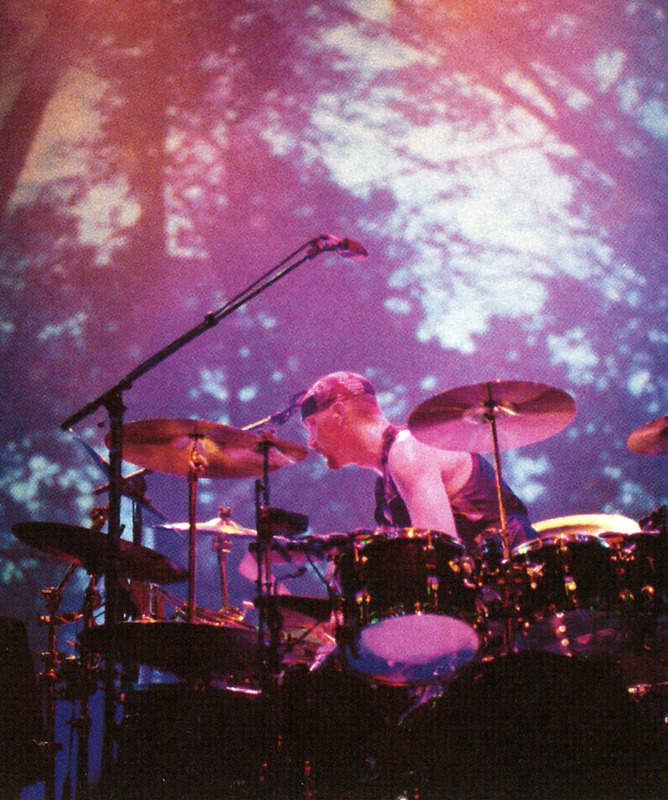 Professor tour in Los Angeles in 2005. 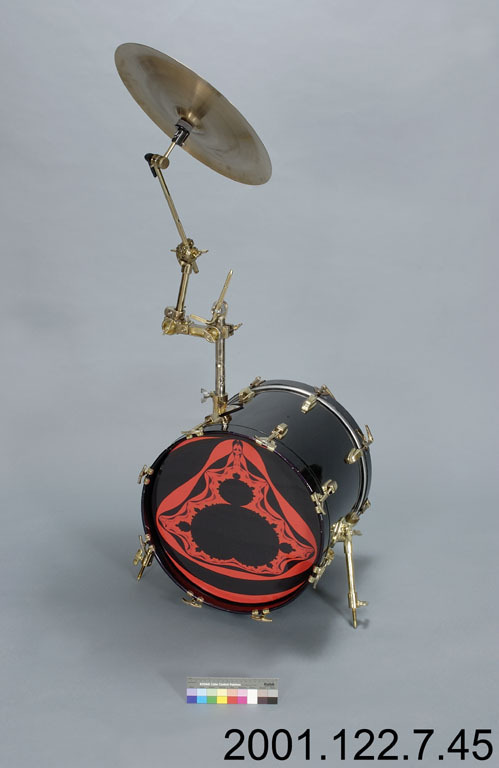 The drum infographic below comes from the excellent book, Star Sets: Drum Kits of the Great Drummers (the original source was a 1994 Modern Drummer cover story on Neil Peart). 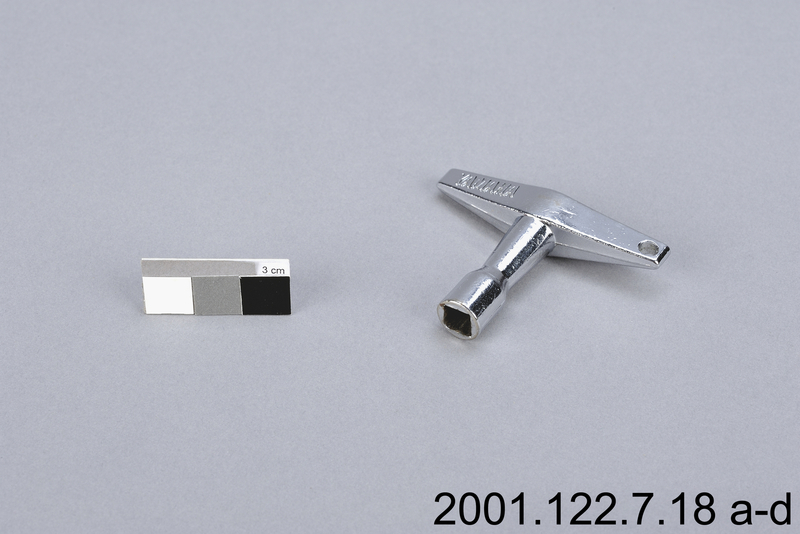 Below we've matched the key from the Star Sets infographic to the Canadian History Museum catalog photos. 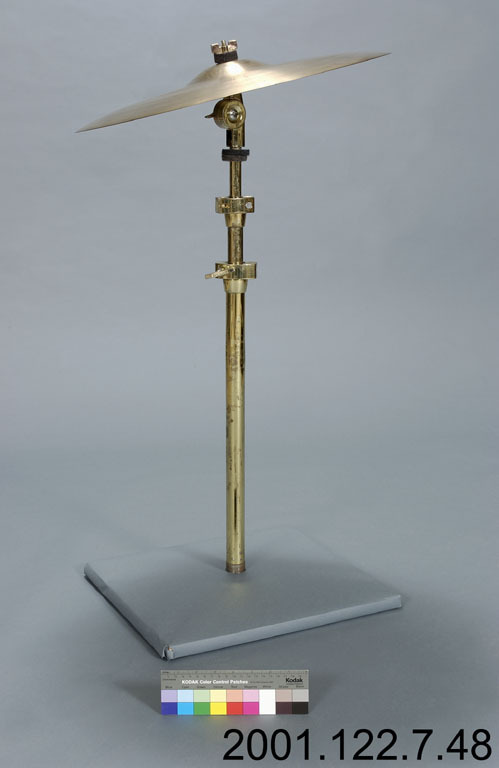 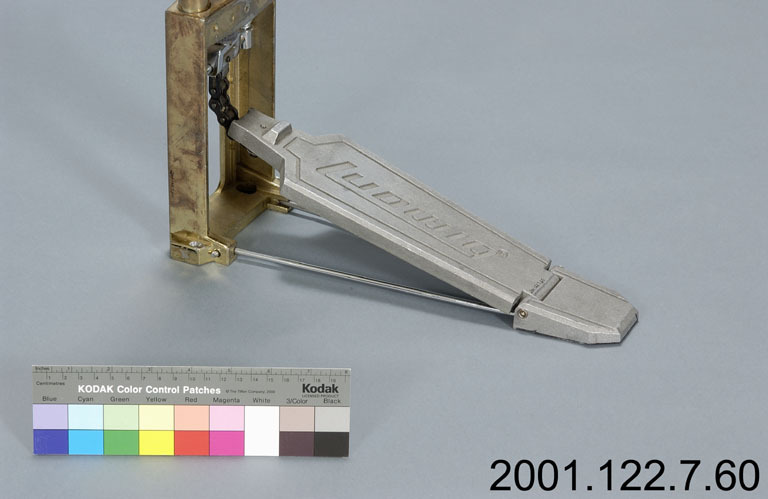 We've also included the Canadian History catalog ID without the 2001 prefix. 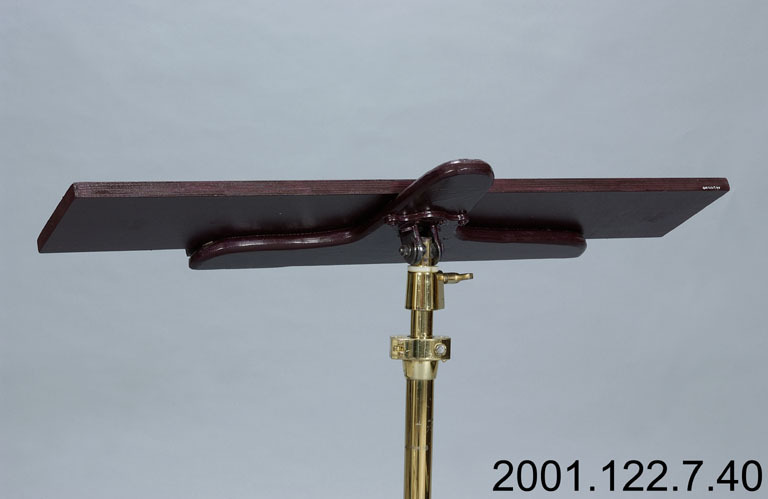 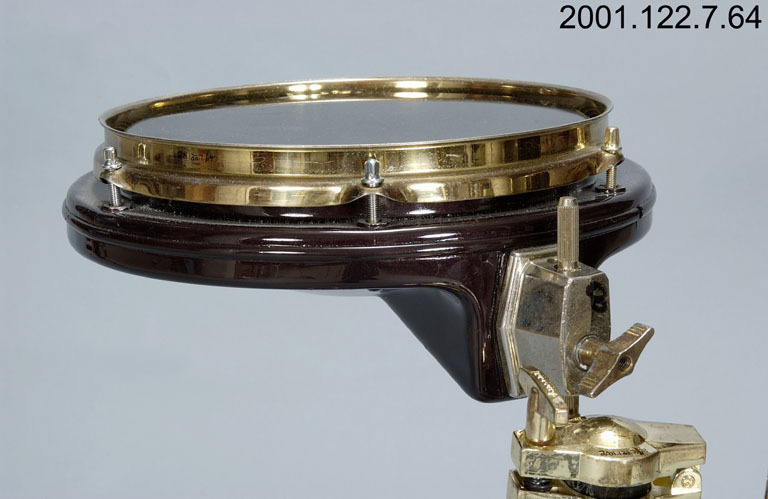 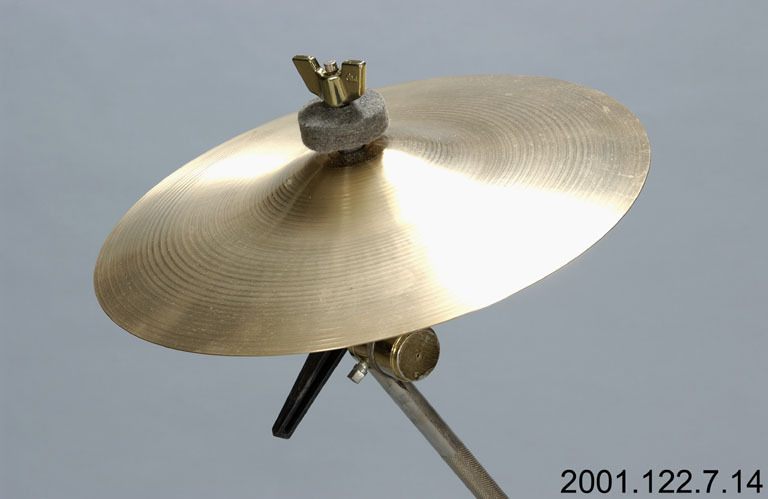 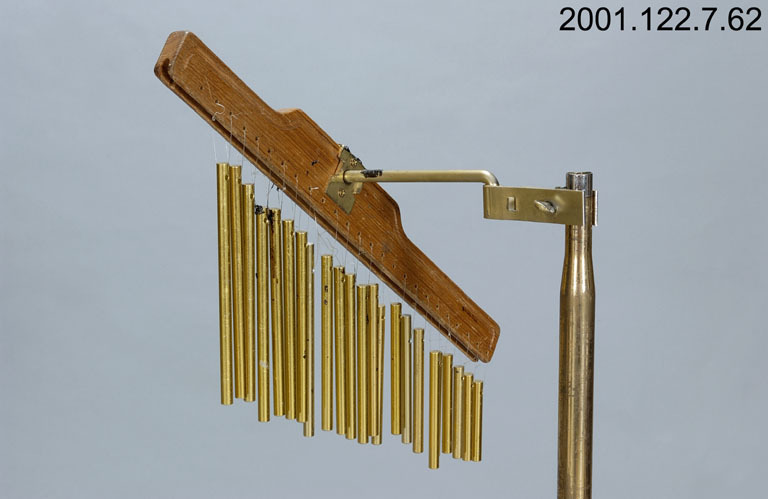 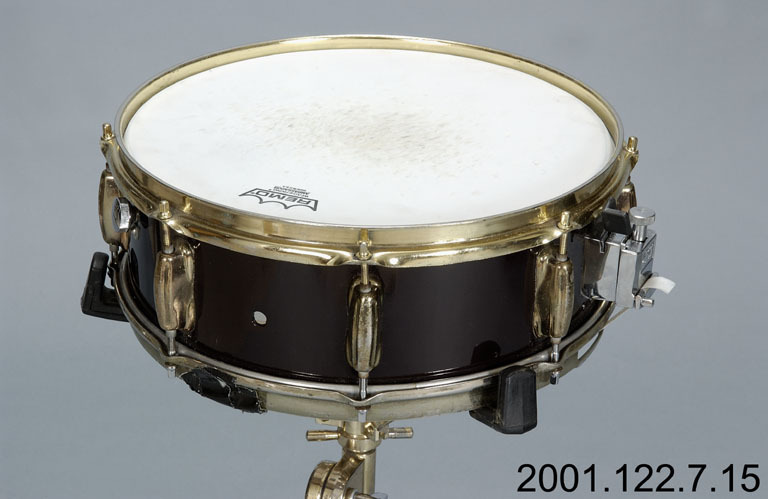 The Remo Legato (Infographic Key 1, Photo ID 122.7.42) that Peart used as his auxilliary snare has an interesting history. 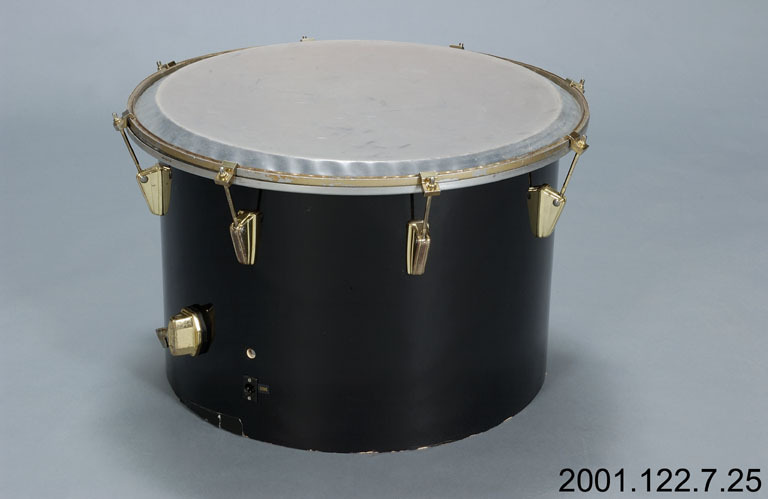 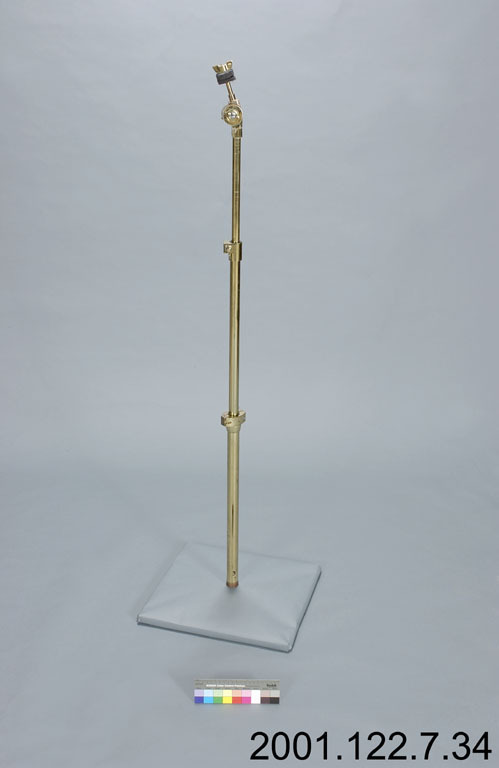 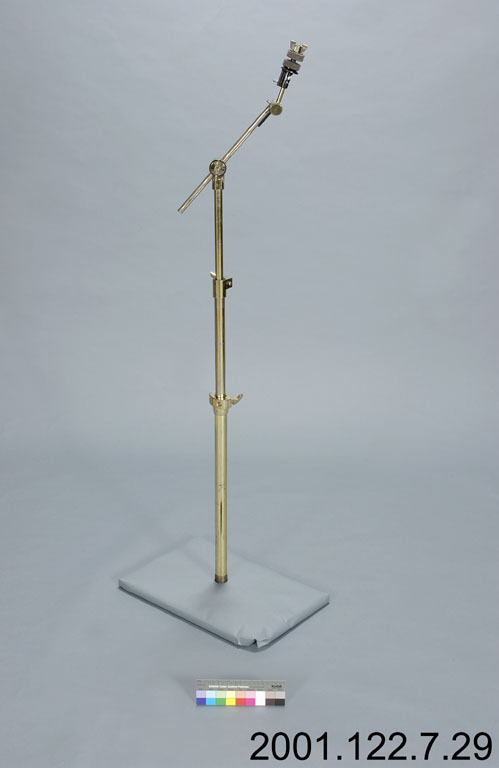 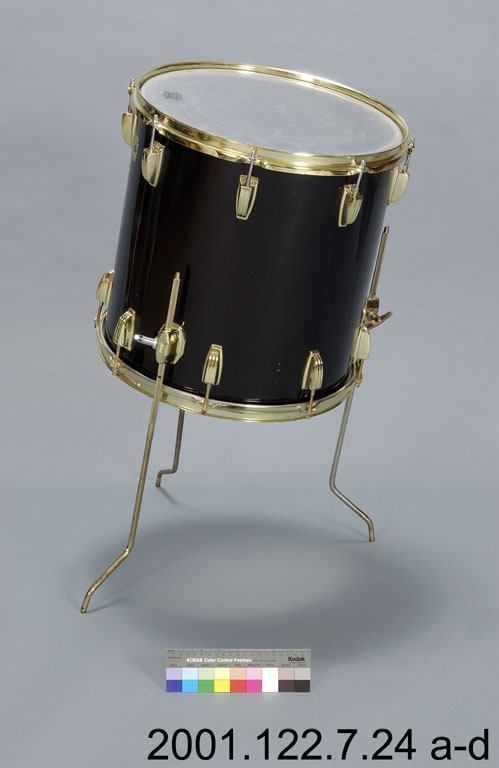 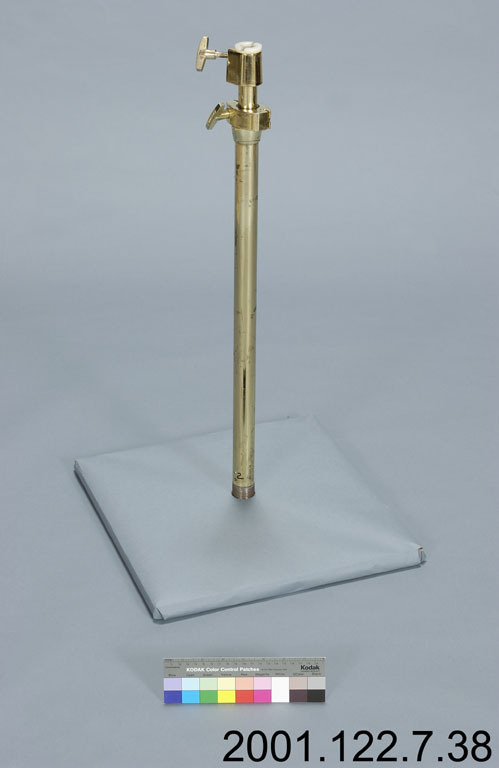 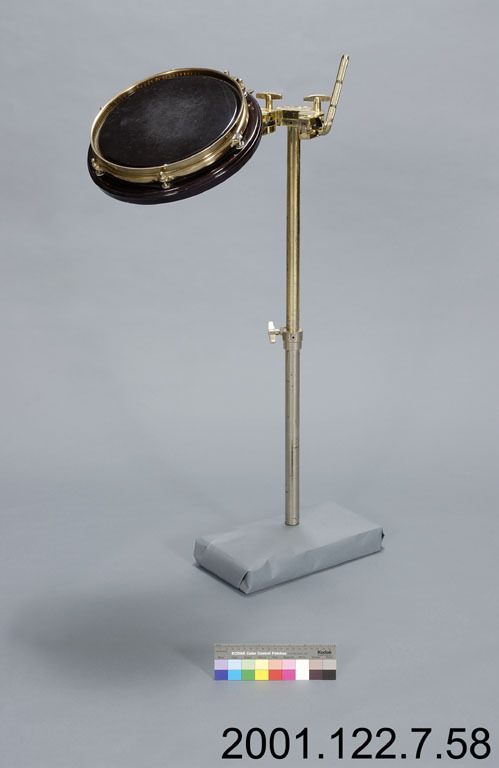 Originally designed and manufactured by the Legato Drum Company in Australia as the K-Series pipe band snare, it was one of the first snares that could withstand the high-tension Kevlar heads that were causing both tension rods and shells to break. 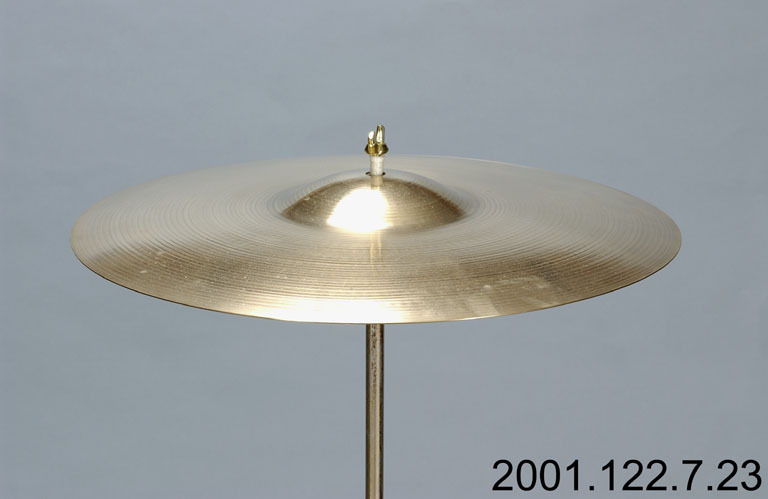 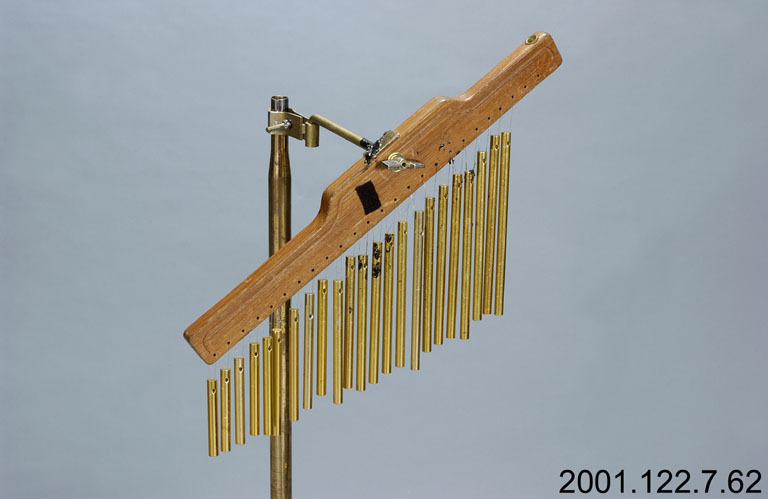 Legato later partnered with the Remo Corporation to manufacture the K-Series and eventually the Legato. 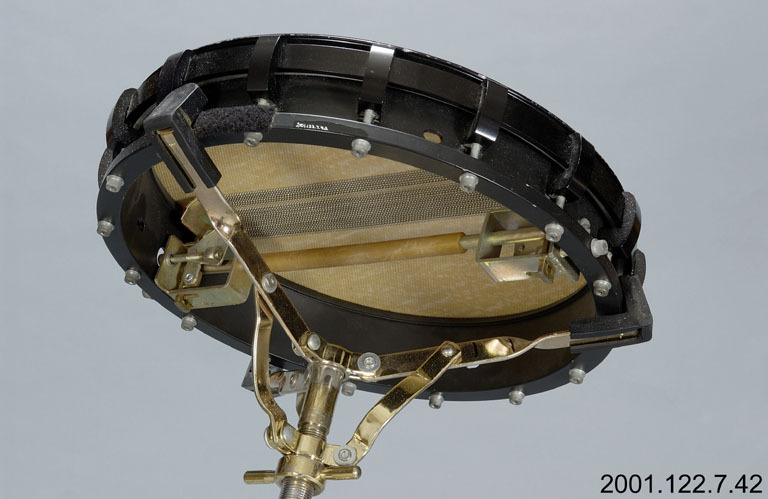 Comparing Peart's version with the full Legato snare, you'll see that he only used the top part of the drum (pipe drums typically have two snares—one under both the batter [top] and resonant [bottom] heads). 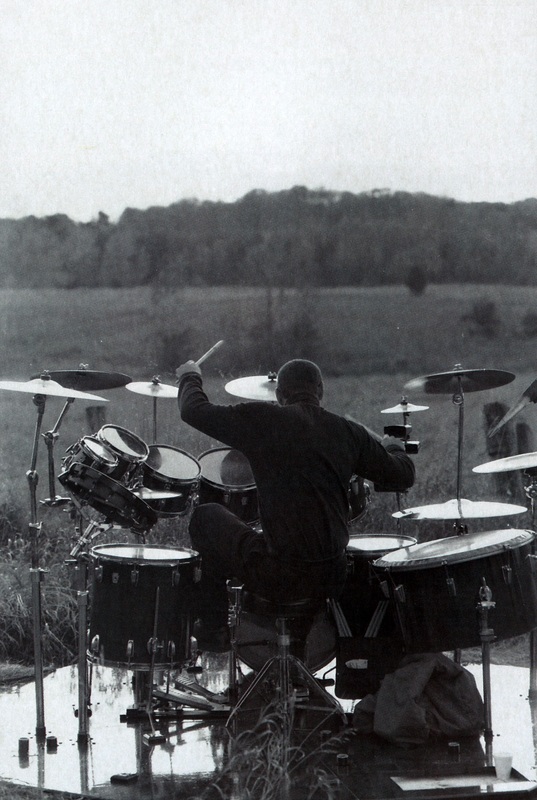 The crisp, staccato attack of the Legato can be heard on Counterparts songs "Stick it Out," "Cold Fire," and "Speed of Love." 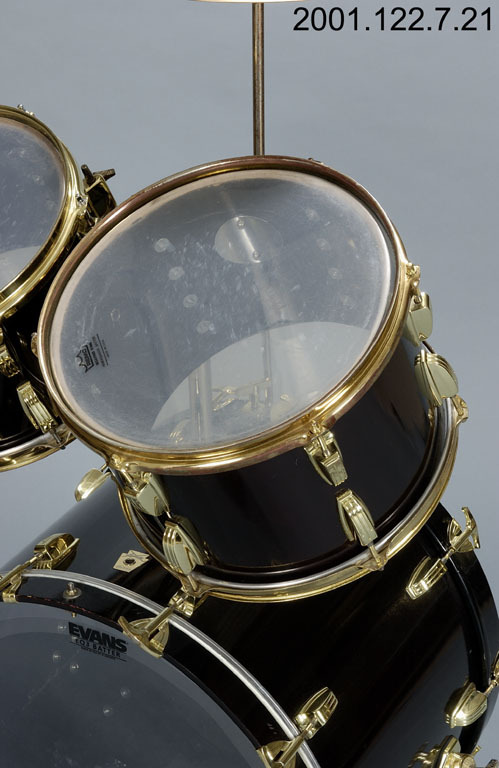 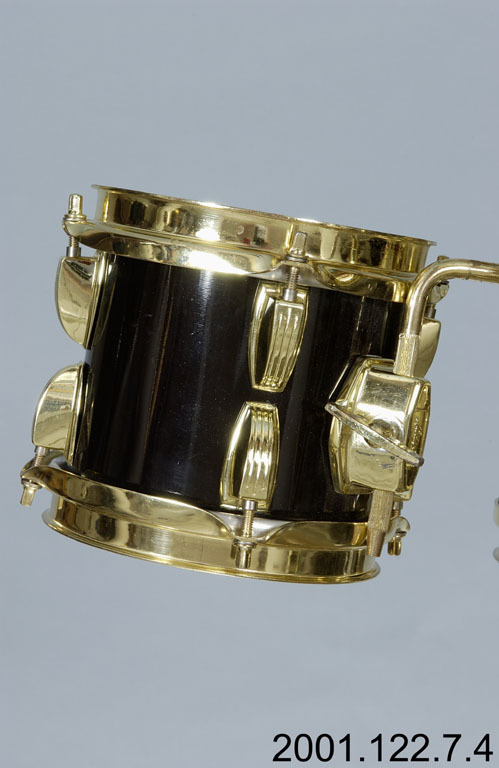 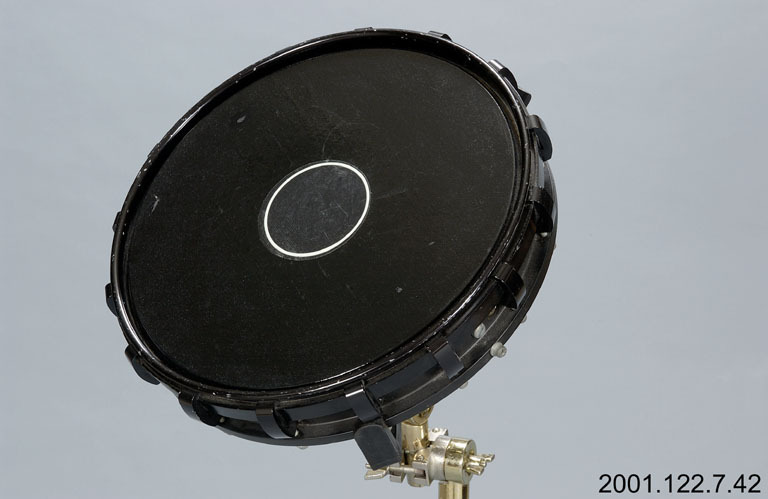 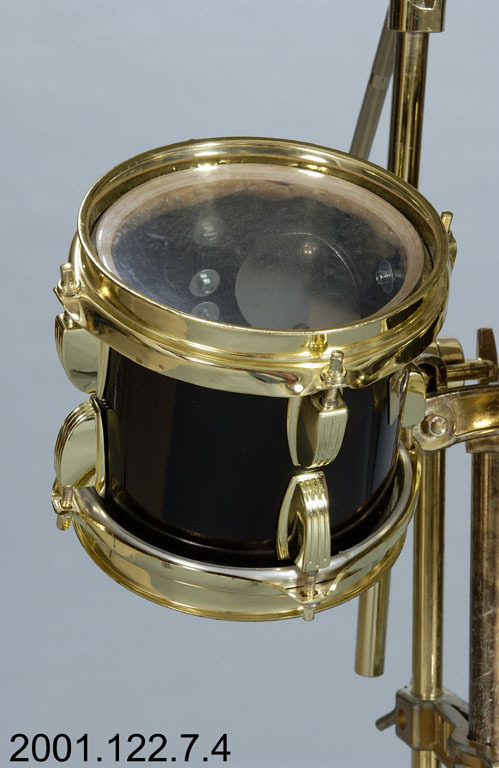 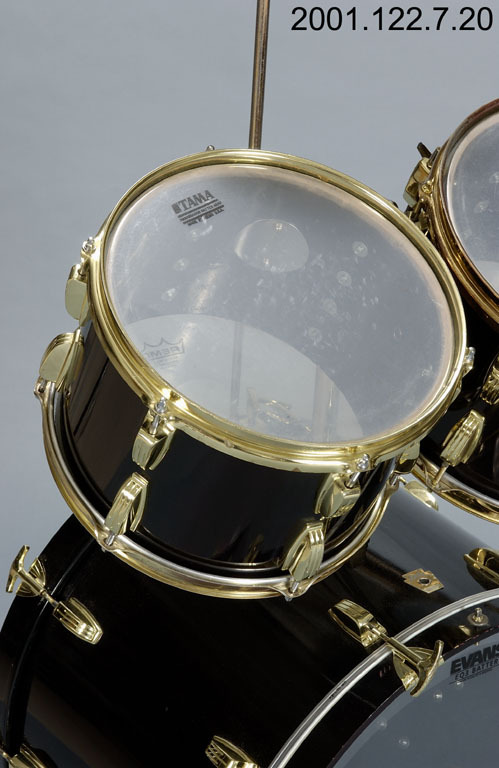 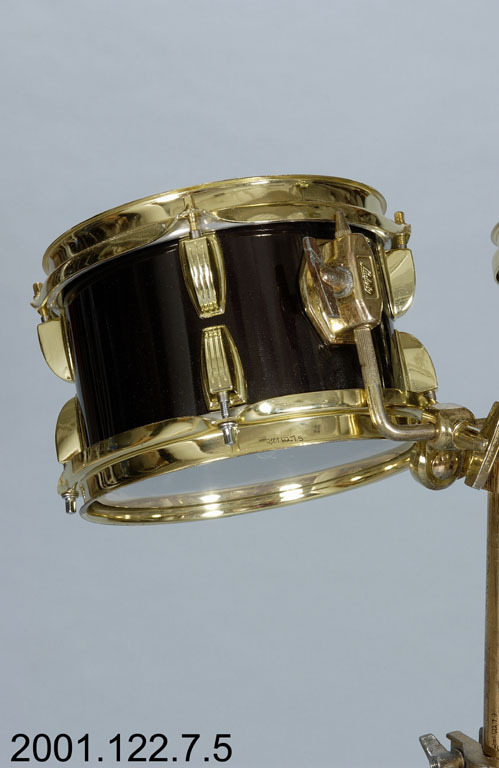 Peart was originally introduced to this snare by Grateful Dead drummer Mickey Hart. 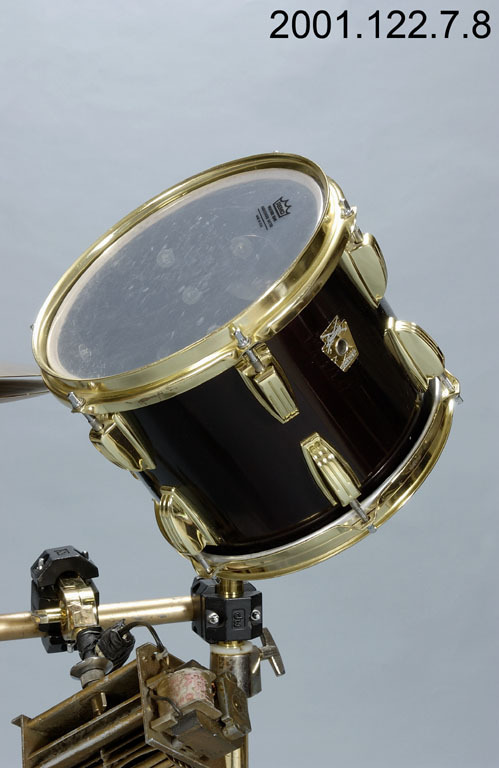 It's not clear if the Slingerland Artist Model snare drum (Infographic Key 6, Photo ID 122.7.15) is Peart's original "Number One" snare that he purchased in a pawn shop for $60, which he last used with this kit, or if it's the twin he used with the electronic kit before the Counterparts tour. 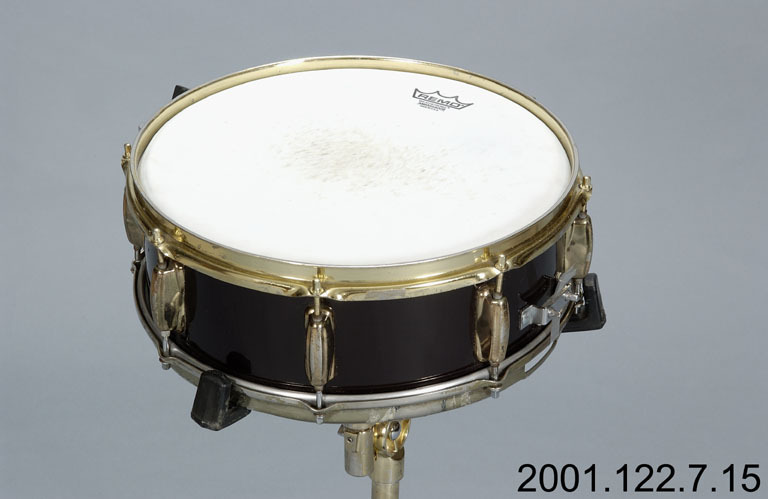 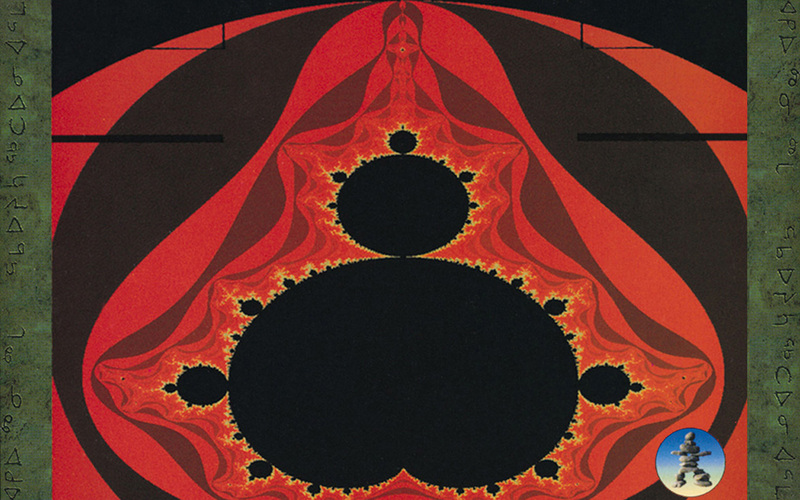 The "Mandelbrot Set" fractal design on the front head on the 18" bass drum (Infographic Key 13, Photo ID 122.7.45) was used during the Test for Echo Tour and not during Counterparts. 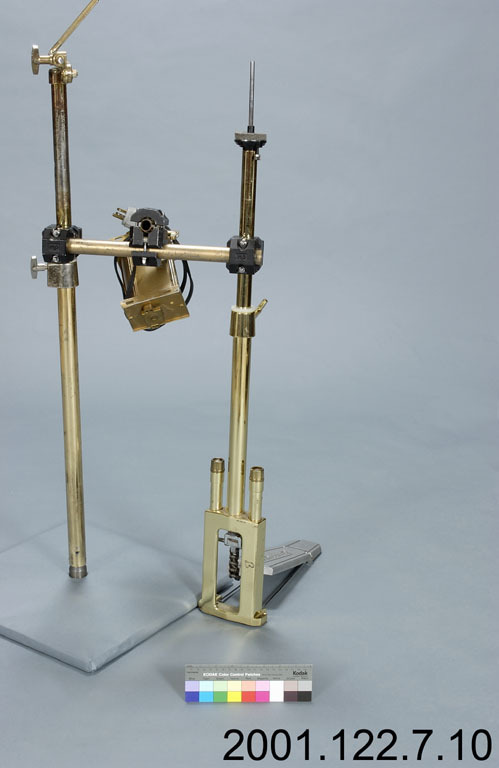 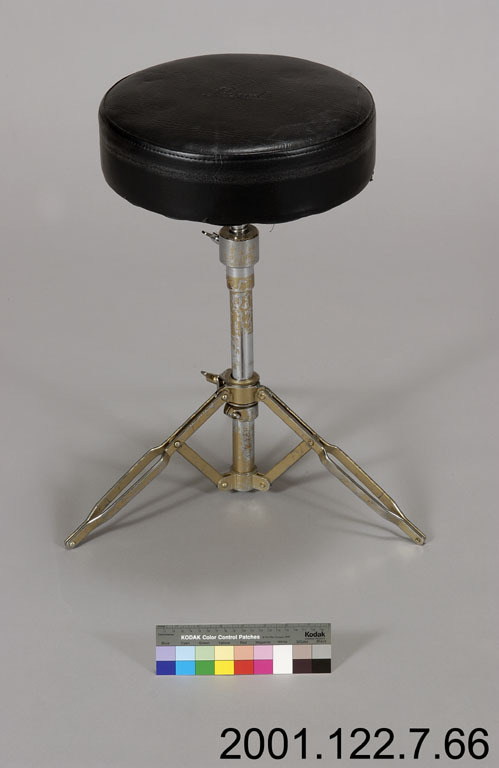 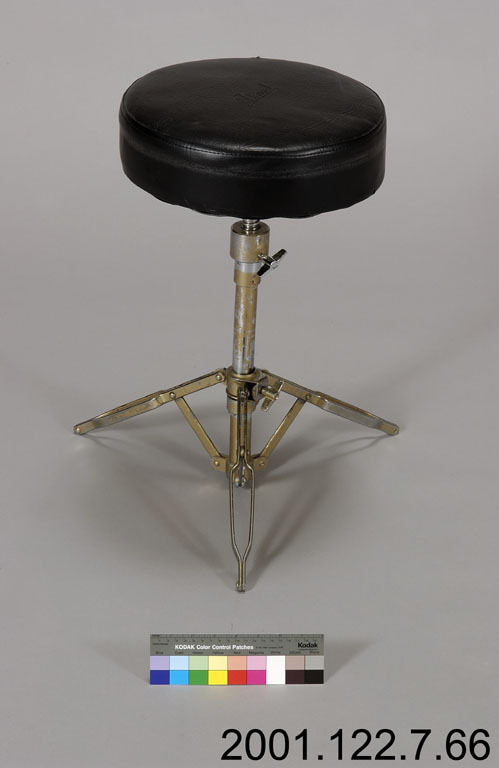 The DW 5000 bass drum pedals pictured with the bass drums (Photo ID 122.7.45, 122.7.19) were most likely owned by Peart, but were not used with this particular drum kit (Peart used a Yamaha double-bass pedal and Camco single pedal). 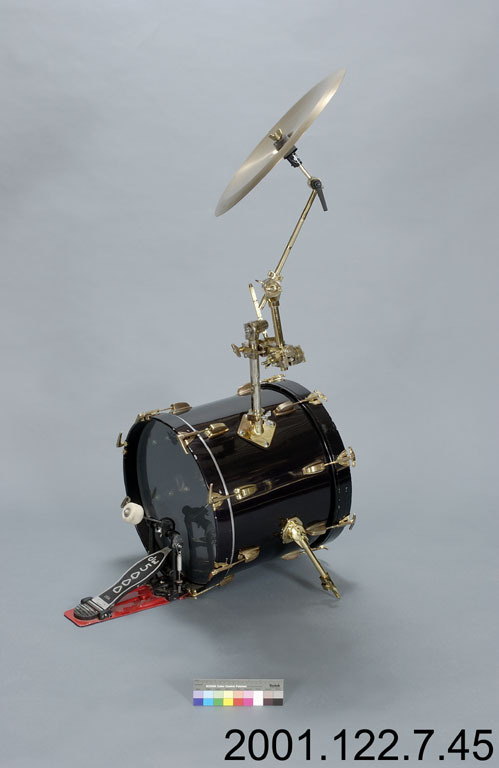 Once Peart switched to DW pedals, he used the 9000 series bass drum pedals. 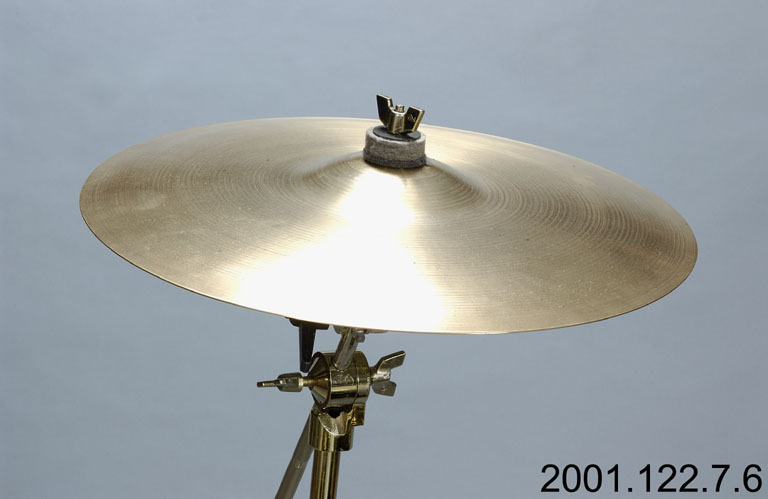 The Zildjian cymbals were most likely backups from either the Counterparts or Test for Echo tours. 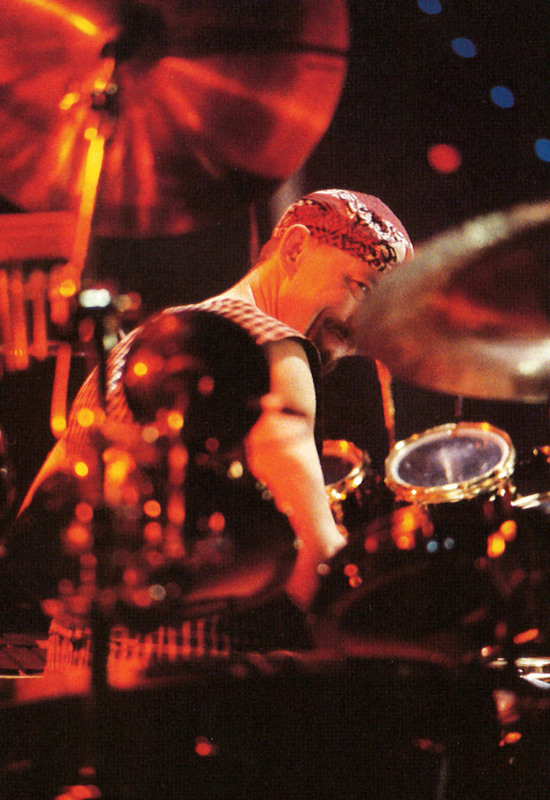 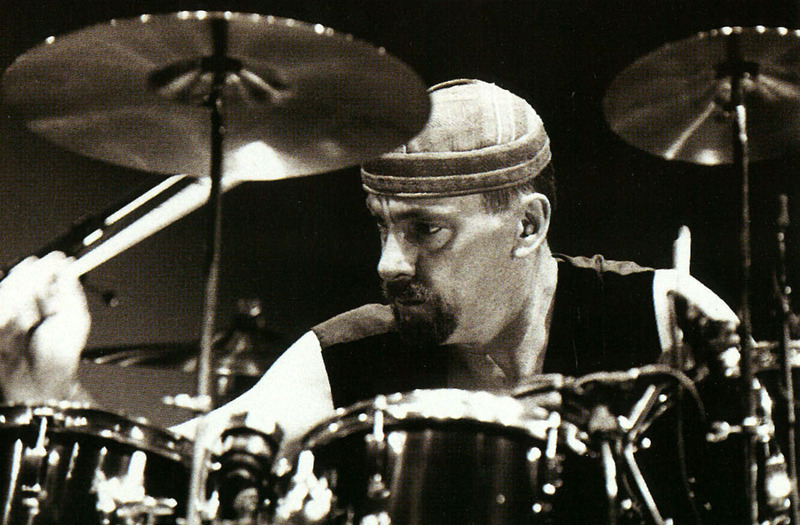 Note that most of the cymbals don't include logos or writing, which is how Peart ordered his cymbals from Zildjian. 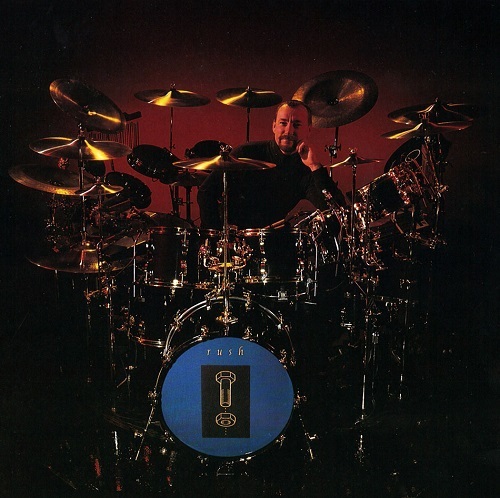 Peart's original 22-inch Ping Ride, which he used until he began using Sabian cymbals in 2004, doesn't appear to be included in this collection. 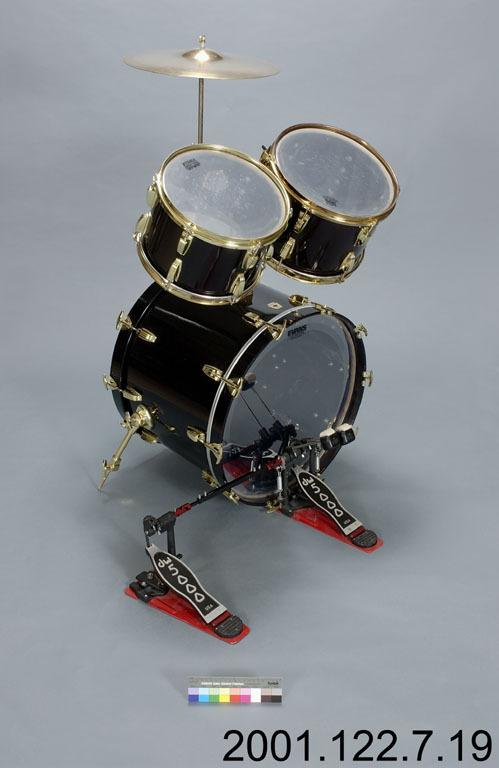 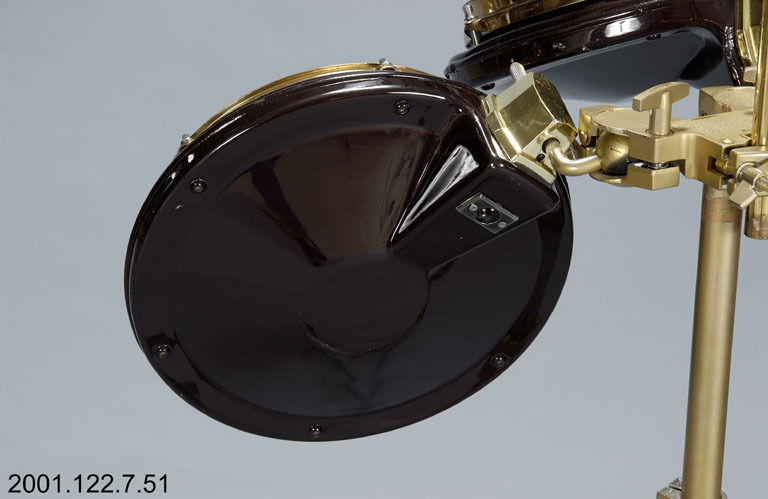 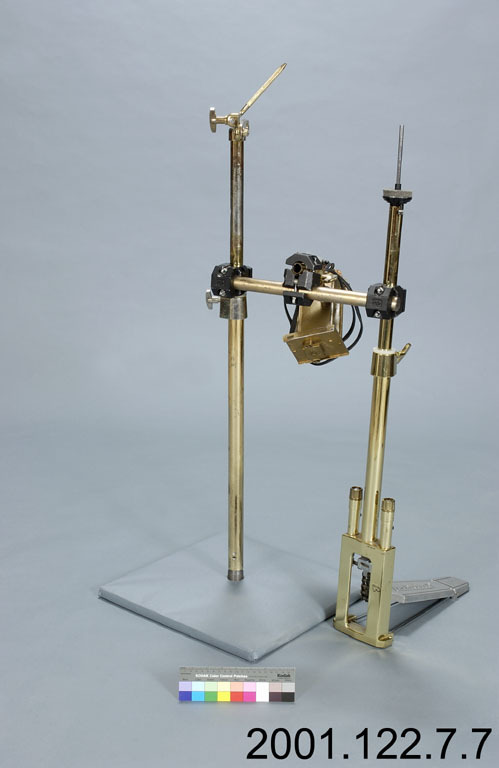 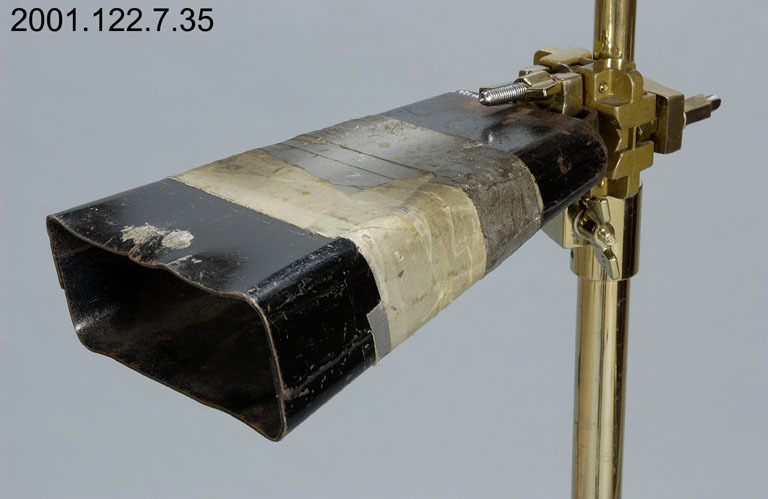 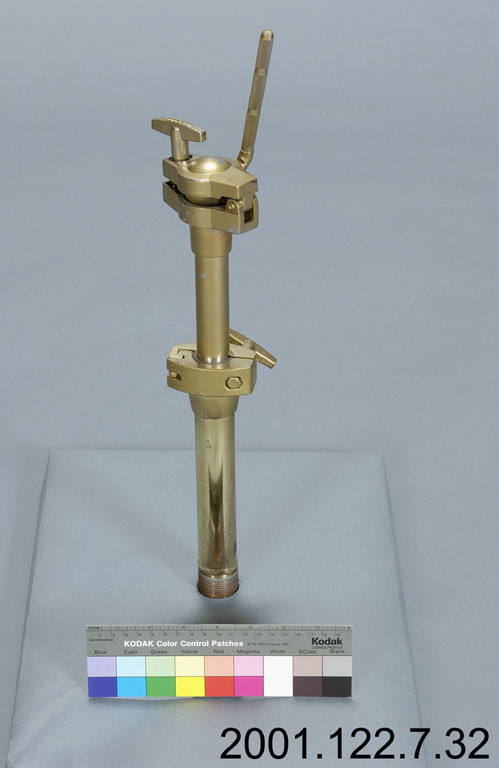 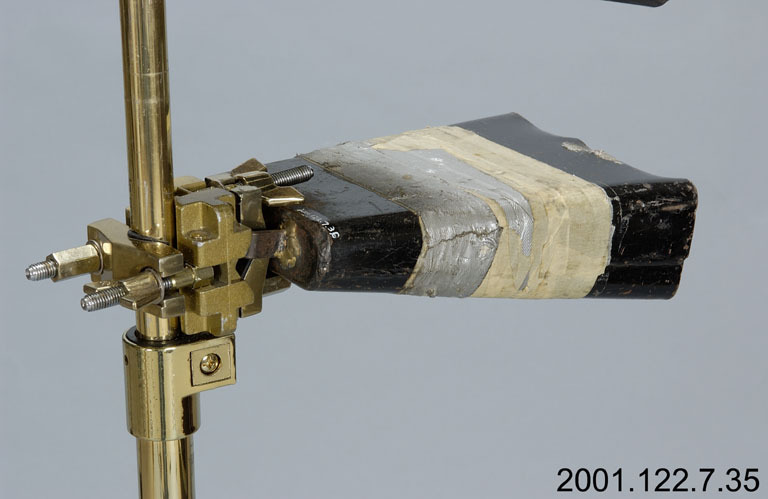 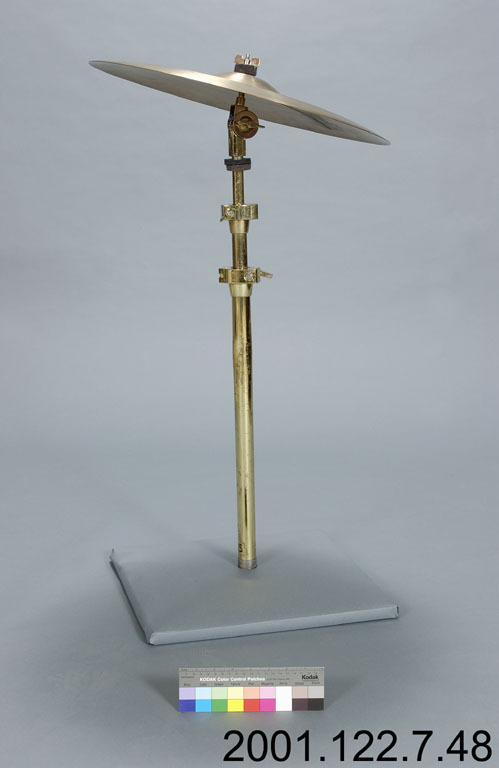 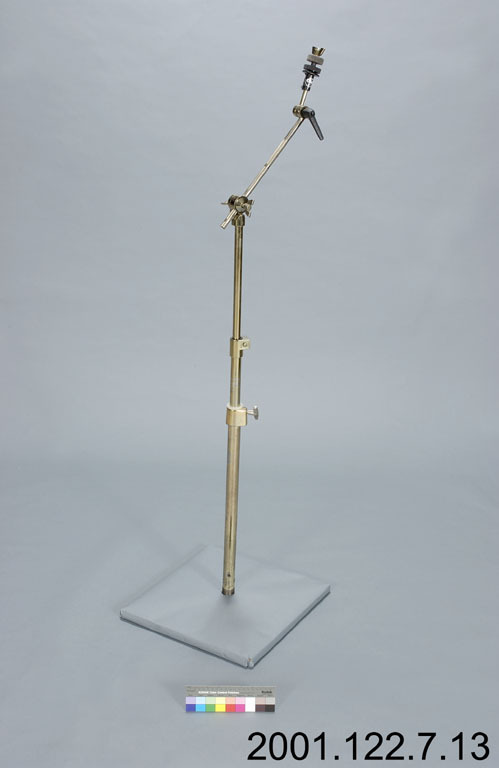 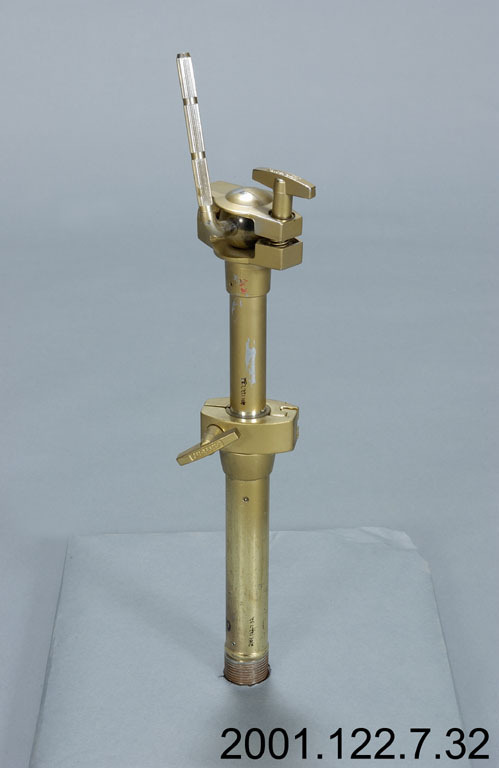 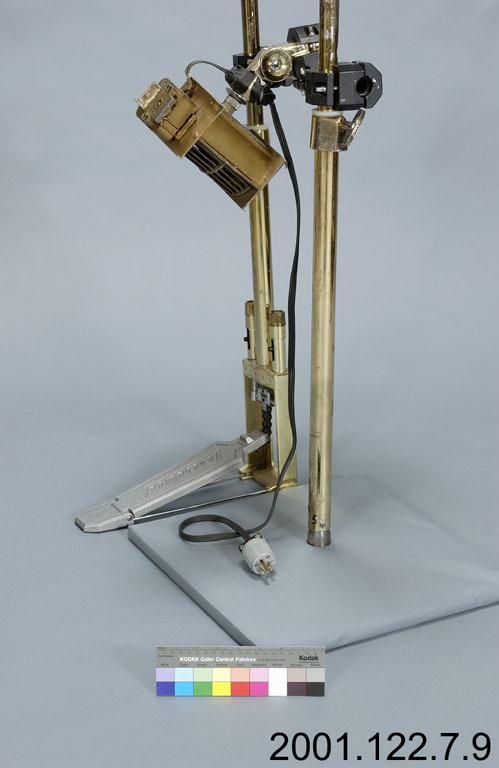 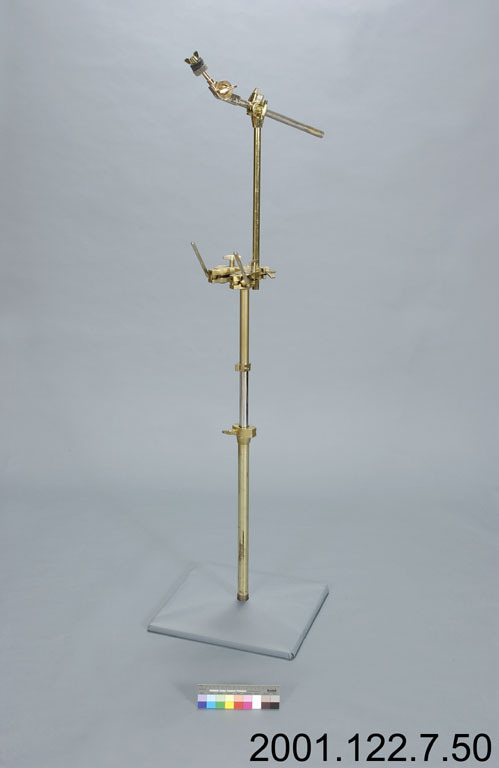 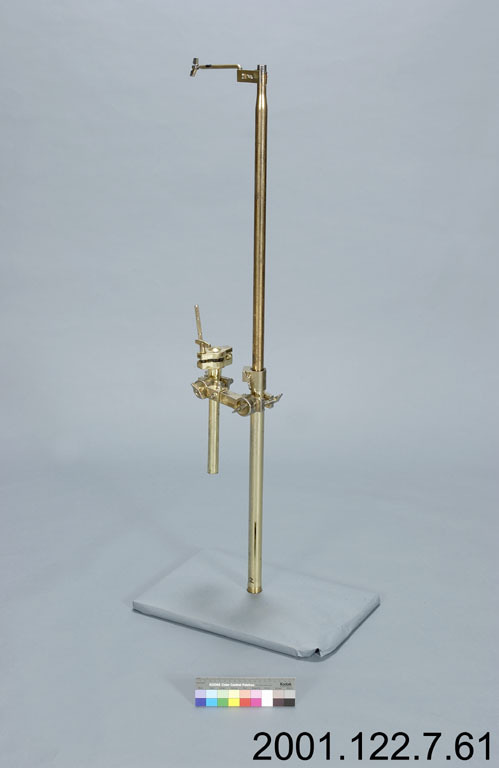 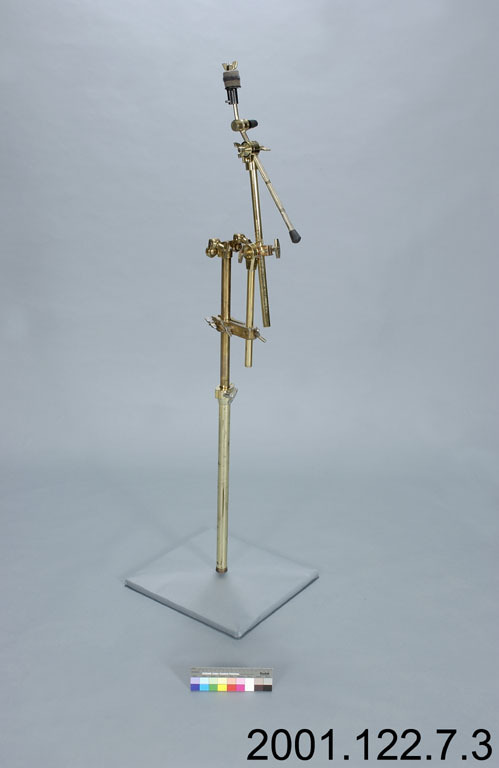 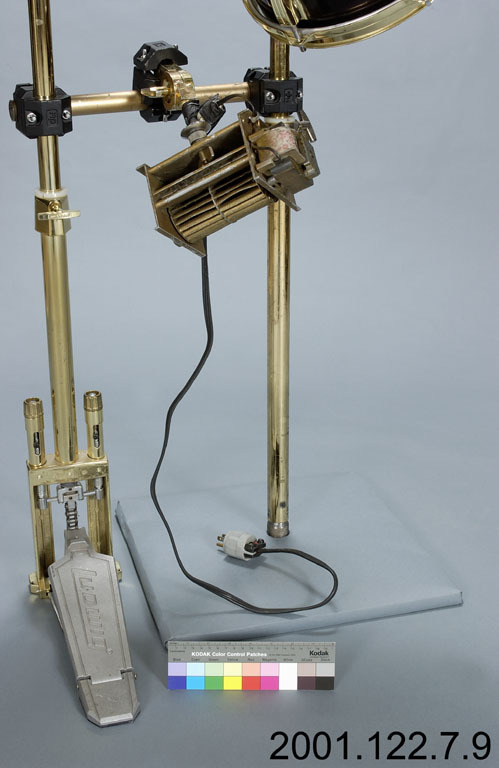 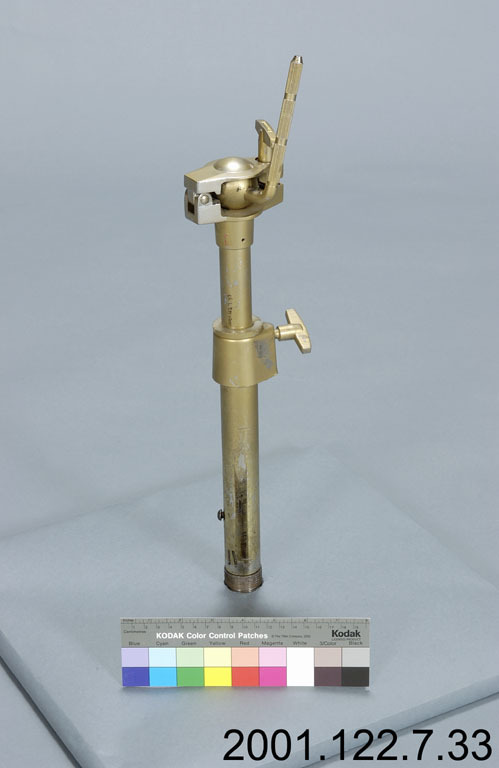 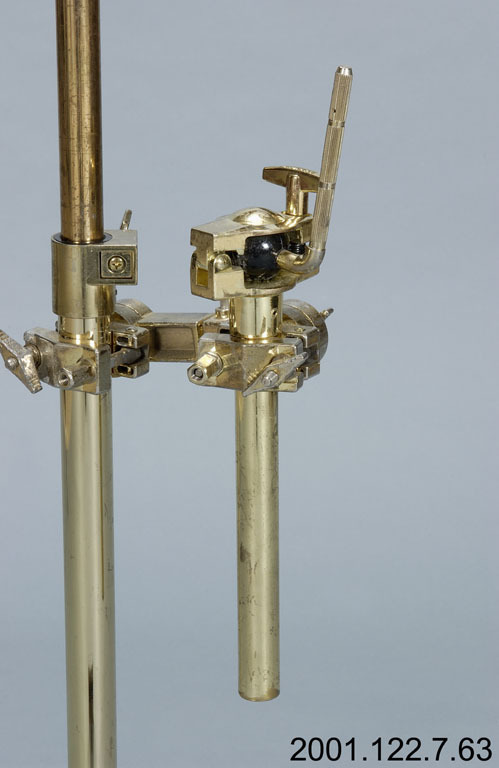 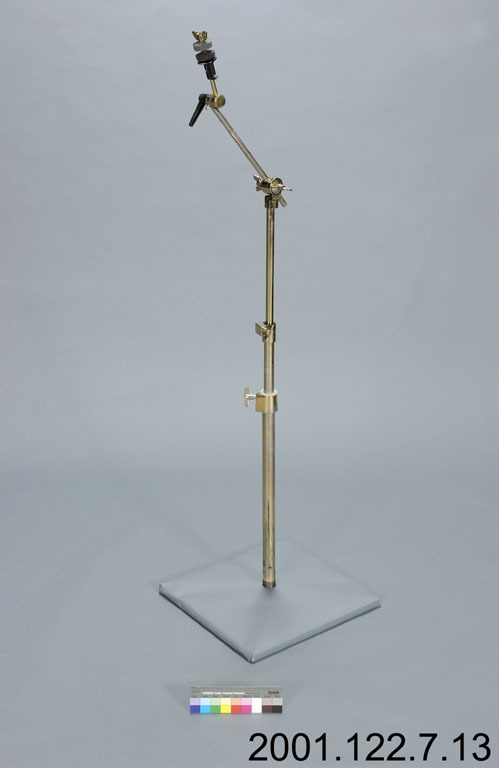 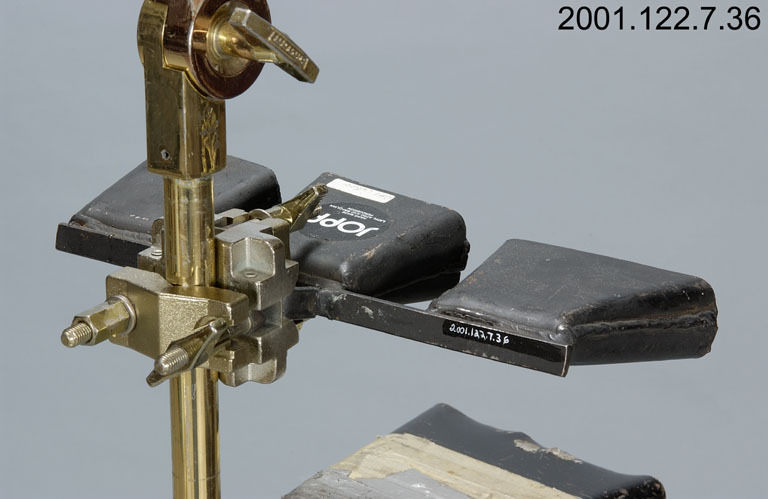 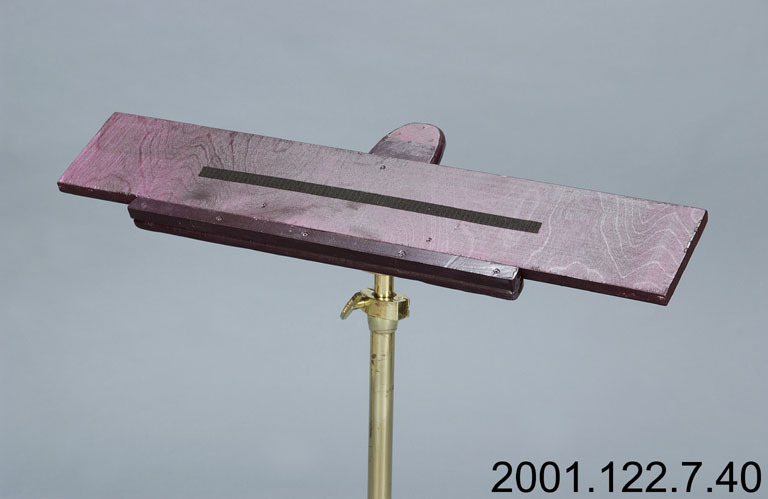 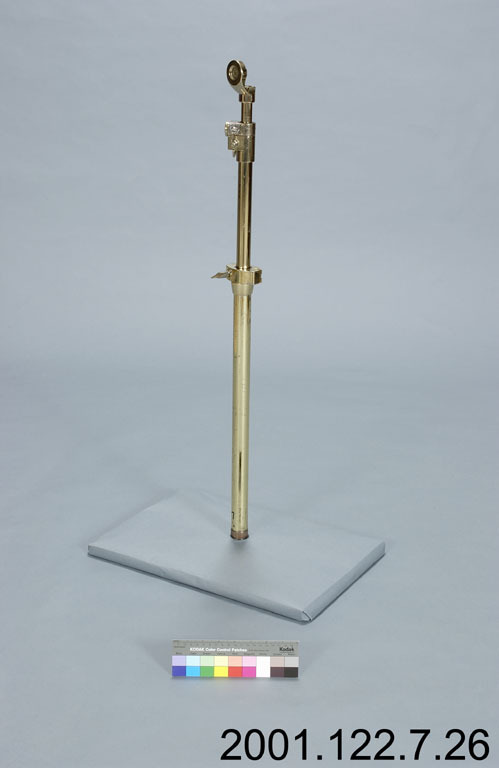 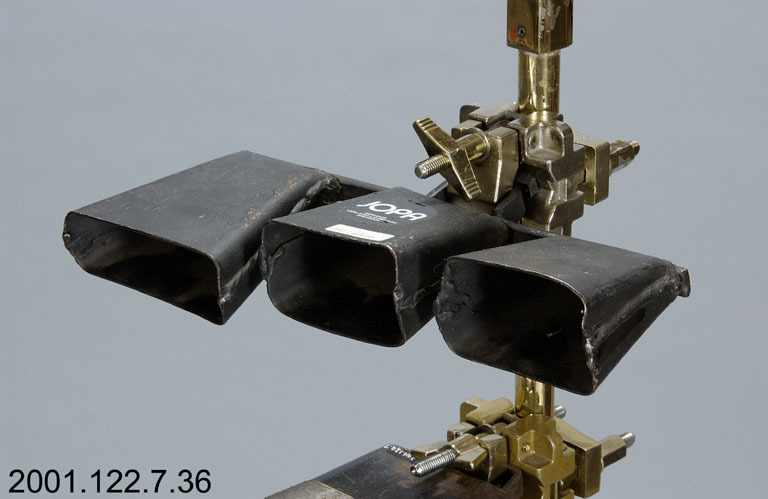 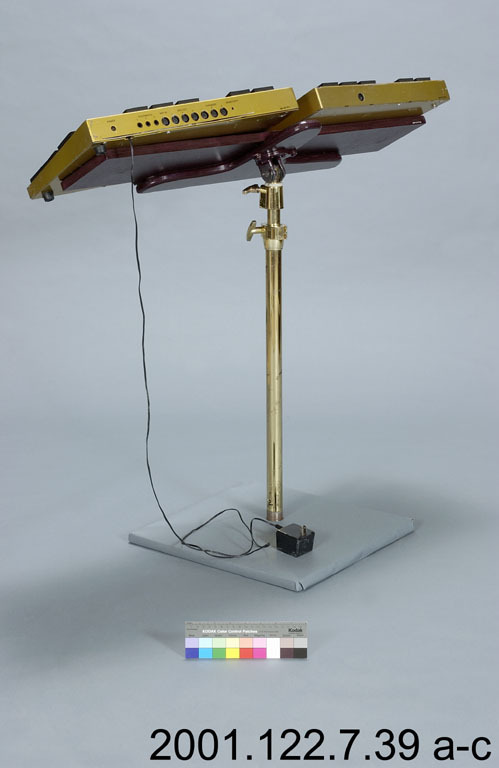 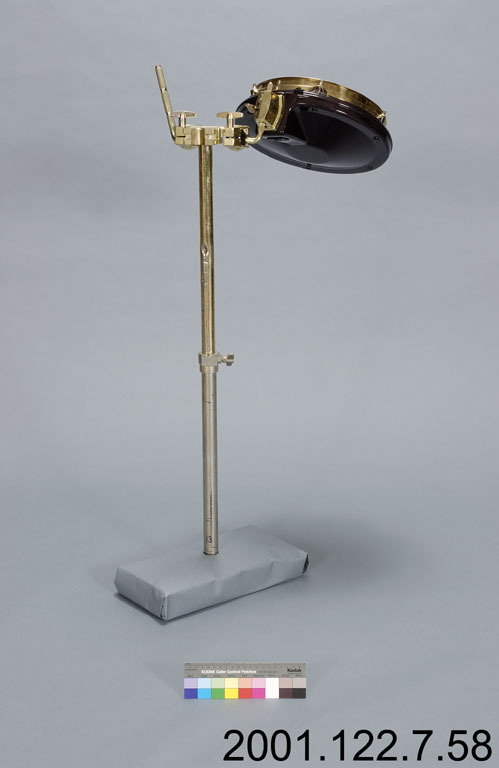 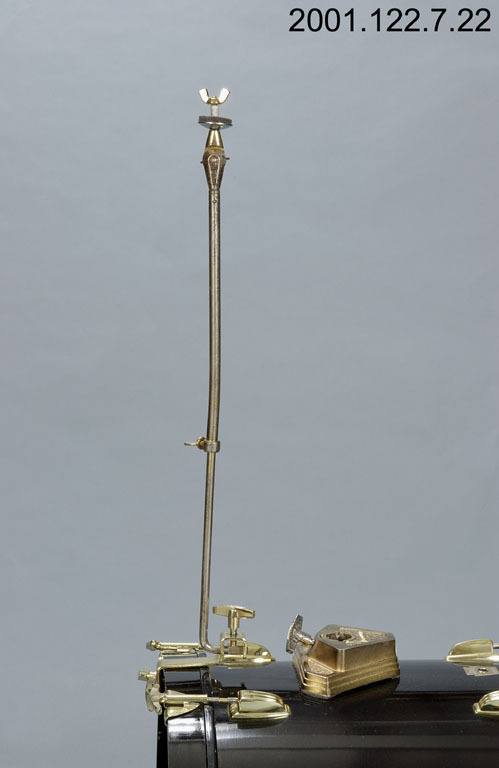 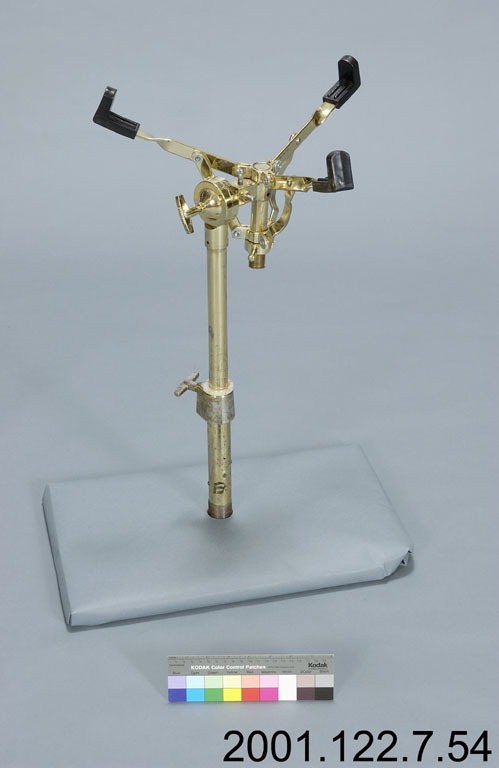 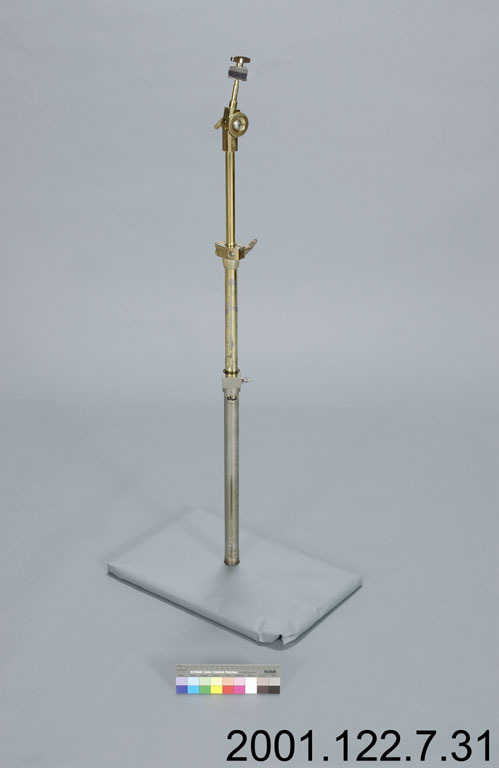 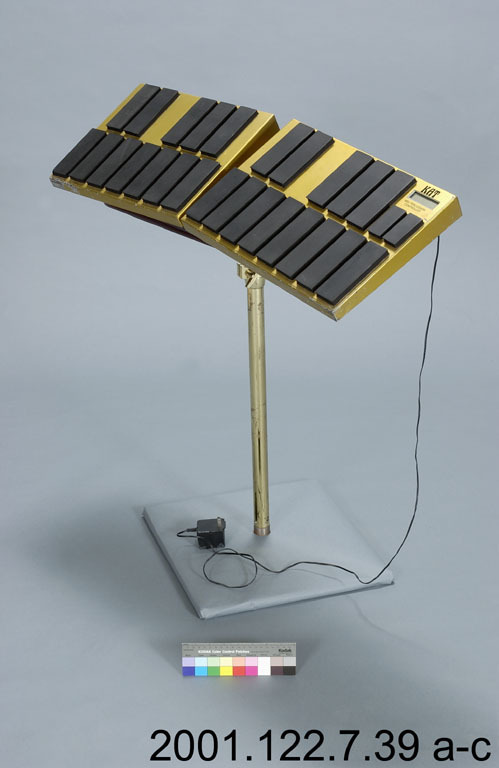 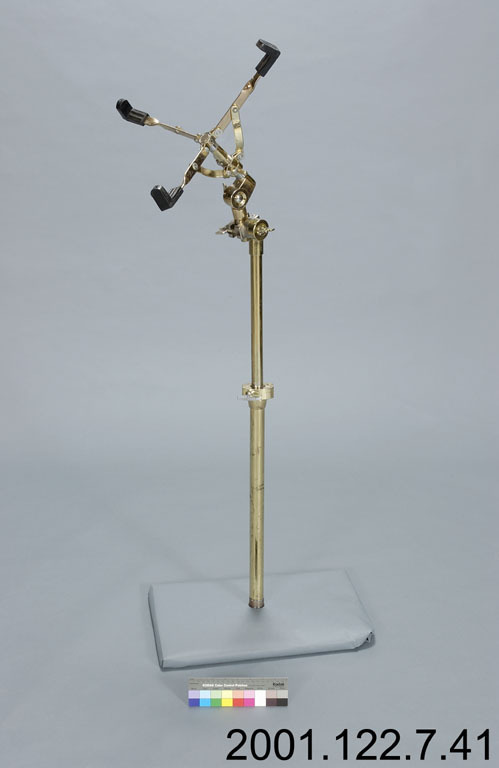 Several pieces are missing in the musuem's collection, including the Shark pedals (Infographic Key C), SID electronic trigger (DD), Dauz pad (FF), and Yamaha double bass drum pedal (EE). 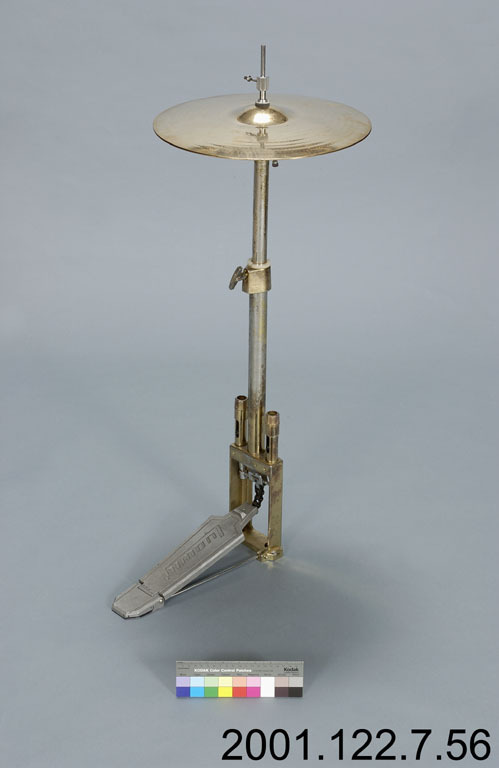 Note that cymbal stands don't include rubber feet, as they thread directly into the oak plywood drum boards. 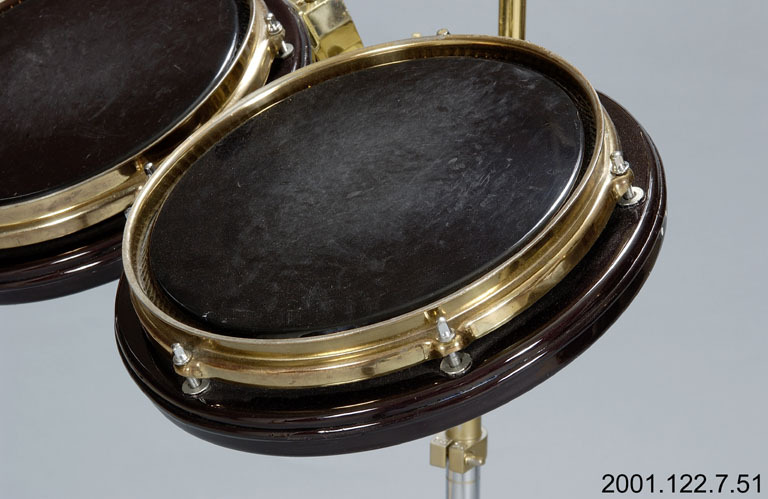 The bass drum spurs and floor tom legs also don't contain rubber feet, but these sit on pre-positioned holes on the drum boards.